That’s how I felt last week when I listened to this podcast by Leadership York’s Samm Smeltzer. Thanksgiving is just one month among many in which I am grateful for the life and the friends and the business that has come as a result of this writing journey. When Samm asked to interview me for her “Grateful Showcase” — an Autumn series in which she talks with people who have made an impact on her life — I was surprised and flattered. I’m usually the girl behind the laptop, not the woman in front of the microphone. At the end of a blessed weeklong sanctuary in the hills with my Mindful Writers buddies, Samm and I chatted about the muse… and the voices in our head that both help and hurt us on the way to achieving our wildest dreams. 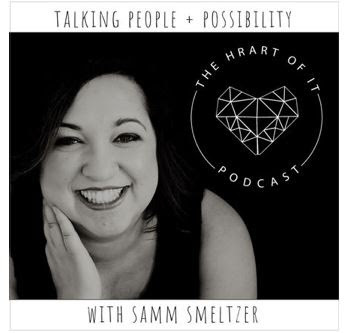 Tune in and discover the magic that is Samm Smeltzer, and join us as we share a lot of laughs, and sprinkle pixie dust over your Sunday. Who knows… you just might find yourself inspired to write! Or tune in on iTunes or Stitcher.